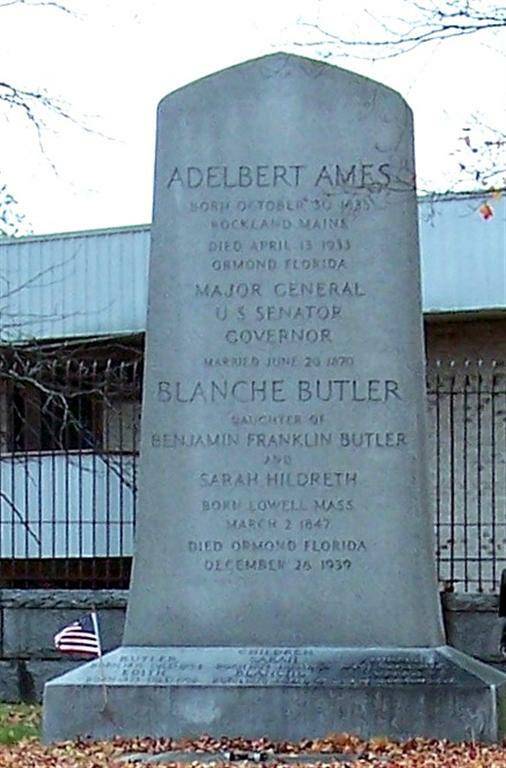 Butler Ames (August 22, 1871 – November 6, 1954) was an American politician, engineer, soldier and businessman. He was the son of Adelbert Ames and grandson of Benjamin Franklin Butler, both decorated generals in the Union Army during the American Civil War. Born in Lowell, Massachusetts, Ames attended the public schools and Phillips Exeter Academy, in Exeter, New Hampshire, and graduated from the United States Military Academy at West Point in 1894. 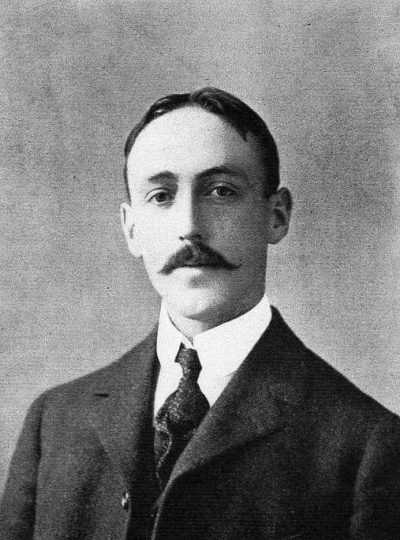 He resigned from the United States Army after appointment as second lieutenant to the Eleventh Regiment, United States Infantry; took a postgraduate course at Massachusetts Institute of Technology, was a member of Theta Xi fraternity, and graduated in 1896 as a mechanical and electrical engineer. Butler Ames engaged in manufacturing; served as a member of the common council of Lowell in 1896; like his father, he re-joined the Army during the Spanish–American War and was commissioned lieutenant and adjutant of the Sixth Regiment, Massachusetts Volunteer Infantry; appointed acting engineer officer of the Second Army Corps under General Graham, in addition to his duties as adjutant. He was promoted to lieutenant colonel in August 1898; served as civil administrator of the Arecibo district of Puerto Rico until November 1898. Butler Ames became a member of the Massachusetts House of Representatives 1897–1899; elected as a Republican to the Fifty-eighth and to the four succeeding Congresses (March 4, 1903 – March 3, 1913); was not a candidate for renomination in 1912; resumed manufacturing pursuits; president of United States Cartridge Company, and treasurer of Heinze Electrical Co. of Lowell; at time of death was treasurer and a director of Wamesit Power Co. of Lowell, Massachusetts; director of Union Land and Grazing Co., Colorado Springs, Colorado, and vice president and a director of Ames Textile in Lowell. Butler Ames was completely taken with Villa del Balbianello when he visited Europe for the first time in 1912, and he determined to purchase the Villa. He succeeded in 1919, beautifully restoring the Villa. On a Dictaphone Tape he tells the story (also a short autobiography). The Tape was transcribed, and his greater family published it in book form: “Butler Ames and the Villa Balbianello, Lake Como, Italy, An American Oral History.” Essays and introductions by Evelyn Ames, Pauline Ames Plimpton, Ezio Antonini, Sarah and George Plimpton plus period photographs and the illustrated Guest Book 1920 to 1970 was added. The book was edited by Oakes Plimpton and printed by Hobblebush Press, 2009, available through Amazon Books or Oakes Plimpton, 67 Coolidge Road, Arlington, MA 02476. Butler Ames died in Tewksbury, Massachusetts in 1954, at the age of 83. He is buried, along with his father, grandfather and extended family, in the Hildreth family cemetery, behind the main cemetery on Hildreth Street in Lowell. His heirs sold Villa del Balbianello in 1974 to Guido Monzino.